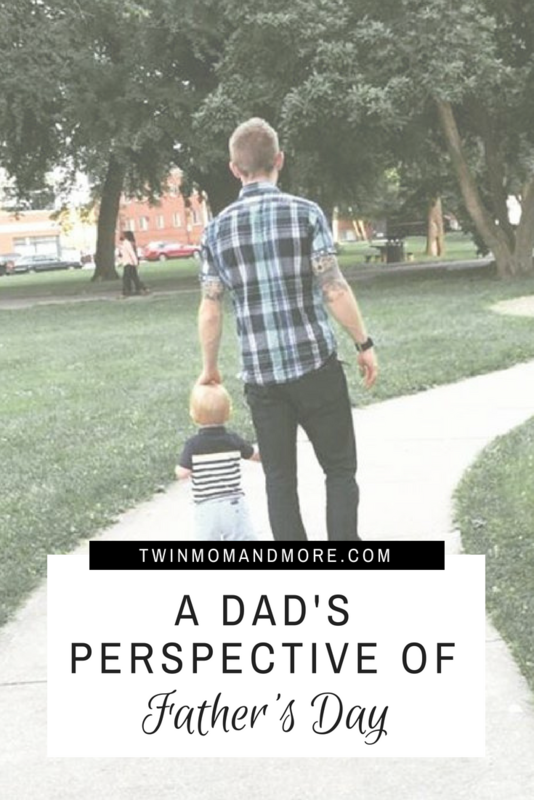 As Father’s Day was approaching, I started thinking about what I should write. I could do a cute craft with the kids (Lord have mercy, I get anxiety just thinking about that). Or, I could write a gift guide. Since I wrote an Anti Mother’s Day Gift Guide for Mother’s Day, it only seemed fair to do the same for Father’s Day. I’m not a father, so I have no clue what they want. I’ve been bugging my husband to write a guest post for some time now, so this was the perfect opportunity. My dear friends here is the Anti Father’s Day Gift Guide, by my darling husband, and father to one rambunctious threenager, and two sweet (yet needy) 16-month-old twin girls. It’s not light, fluffy, and full of the charming wit that you’re used to from my posts, but it packs an important message. Do Father’s Really Need More Stuff? Growing up in America in the 90’s, I witnessed the exponential growth of technology in the 2000’s. It’s oh-so-easy to fall into the trap of needing the newest thing and wanting more. Do these feelings ever go away, or are they just curbed for a minute, until the desire rears its ugly head and we want more again? This Father’s Day, I am encouraged to look beyond material things that satisfy for a short while, to something that will make an impact forever. Right now, in the United States there is an estimated 25 million youth growing up fatherless. Let that sink in. 25 million. This epidemic has a profound impact on not just young boys, but maybe significantly more young girls. This epidemic is shaping our culture. Children from fatherless homes are more likely to drop out of school, live in poverty, commit suicide, join gangs, experiment in sexual activity, abuse drugs, and alcohol, struggle with depression, the list goes on. These patterns don’t just pertain to someone who has never met their father but any definition of an absent father which could include incarceration, disinterest, abuse, etc. There is a generation of men and women crying out for positive fatherly role models. I am a 30-something father, parenting 3 small children while balancing a career and doing my best to love my wife. I need a role model too; this junk is hard! I need someone who done this before to walk alongside me and provide wisdom. How much more do our moldable, impressionable youth need this? Someone to show them, fatherly love, to teach them, to protect them, someone they can turn to in tough times. What young fathers really need is to see great examples of fathering. We need to see that it is an important job, not to be taken lightly. We need to be shown how to put our families first and celebrate being father’s, instead of just getting by. If the thought of young boys and girls growing up void of a father figure tears at your heart strings, do them a favor and act. Start with where you have excess and go from there. If you have extra time, take a few hours a week or month to change someone’s life forever. If you are blessed financially, give out of the abundance of your finances to enable someone else to mentor or provide an organization with additional funds. I promise you it will be so rewarding to you and them that you will stop acting only out of excess. Do you know a teacher, coach, or mentor that has influenced the life of someone you know? They may not be a father or the child’s father but their role in the child’s life is important. Be sure to let them know how much you appreciate them. These books have helped shape my understanding of the world and my longing as a man. Consider them as a gift that will stir something in the receiver’s soul to action. Below is just a sample of compiled resources that are simple ways to get involved and change your life and someone’s elses that far outlasts a single day. *Facts in post are statistical resources taken from Fatherhood Factor and Fathers.com.